The Senate has completed filing bills for the first session of the 57th Legislature. The deadline was Thursday, January 17. A total of 1040 Senate Bills and 21 Senate Joint Resolutions were filed. In 2017, a total of 831 Senate bills were filed, along with 46 Senate Joint Resolutions. The Thursday deadline did not apply to appropriations bills, which can be filed throughout the session. In addition, Senate rules allow substantive bills to be introduced during the session after the filing deadline. In order for this to occur, the bill is assigned to committee by the Majority Floor Leader and the entire committee becomes the published author of the bill. Such bills must still be heard on the floor by March 14, the deadline for floor votes on legislation originating in the Senate. Measures not heard within that time frame can still be considered in the 2020 session. Senate rules also allow for bills by the President Pro Tempore of the Senate to be filed throughout the session. The process of authoring bills by committee was first adopted by the Senate in 2015 to do away with shell bills, which were basically place-holders for members to use as vehicles for measures later in the session. The change was aimed at increasing transparency in the legislative process. 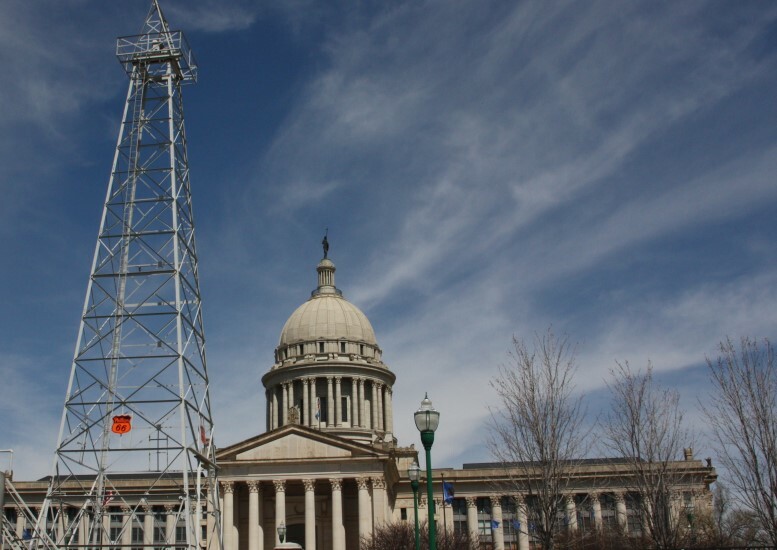 Members of the public can read and download current legislation by going to the official State Senate website at www.oksenate.gov and following the link for legislation at the top of the homepage. The Senate website also includes daily agendas, meeting notices, calendars, and other helpful information. The 2019 legislative session will reconvene on Monday, February 4. The Senate offers streaming audio and video with closed captioning from the Senate Chamber, as well as from all committee rooms. Wireless Internet access is available to all Capitol visitors throughout the Senate gallery, rotunda, committee rooms, offices and press rooms. You can also follow the Oklahoma State Senate on Twitter at OKSENATEINFO.